Click below to be directed to the National HIA to proceed with membership details. HIA has been serving members of the hemp industry since 1994 and has an est. 800+ national & international members (April 2018). HIA members are involved in farming, processing, hemp research, product development, manufacturing, distribution, marketing and education. HIA also has a number of active state chapters and committees that you can get involved with as well as great networking opportunities like the annual HIA Conference. 1. Soak up the news! Members receive monthly newsletters. Farming and Business membersmay submit announcements, news and press releases to our Member Services Coordinator, Erin Pullyat memberservices@thehia.org. Each month, the collection of Member News is added to theHIA’s website for additional exposure. 2. Social media content sharing with HIA’s social networks. Farming and Business members maysubmit their original posts to be re-shared by HIA’s social media administrators. HIA reserves the right tore-share suggested member content. A company’s content submission should include the URL associated withthe company’s original post from one of the following platforms: Facebook, Twitter, Pinterest, andInstagram. Members must be logged into the website to see the “HIA Member Social Media Request” feature on the Members Only page. If you have any questions or need assistance, please contact Member Services Coordinator, Erin Pully. Members are offered exclusive discounts when attending HIA events.Also, fellow members may voluntarily offer member-only discounts for their products and services.When members are logged into thehia.org members may browse the Membership Directory and find discount codes or messages about how to claim a member benefit in the company’s profile footer. As a farming orbusiness member, you too can submit a discount code or opportunity to market to the HIA Network. Enter yourlogin to the association website, edit your profile and enter your discount offer in the inquiry field provided. 4. You now have access to our Members Only information page & more. 5. Now that you are officially a member, we encourage you to get involved. Business members are encouraged to become a sponsor of our nationally recognized grassroots advocacy and retailer campaign program known as Hemp History Week, and participate in association business and development. Also, only members are eligible to sponsor and exhibit at the annual HIACON. Members can review the association’s bylaws, committee and task force policies as well as our antitrust statement on the Members Only website page. To join, select the membership level that best aligns with your individual or corporate revenue bracket at the link above. The HIA is a 501(c)(6) non-profit trade group, and donations are not tax-deductible. Membership dues may be deductible as business expenses. Please consult your financial advisor for more info. Membership information sourced from HIA.org, a membership through the HIA includes your membership to the TNHIA. Membership for TNHIA is not a separate membership. 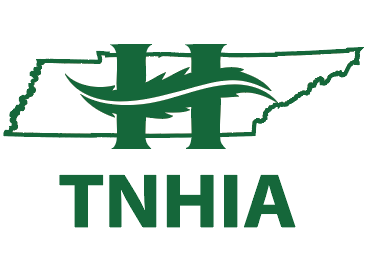 TNHIA is a non-profit trade association founded in November 2013 as a state-chapter of the Hemp Industries Association (HIA). The goal is to provide support to state hemp farmers & businesses in the interest of developing a successful state hemp industry.